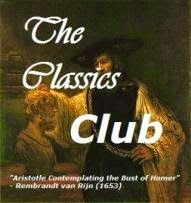 My Classics Club Spin 8# selection which I downloaded from Girlebooks which meant it was some time before I realised it was not the full length novel I was expecting but a novella of less than a hundred pages. A novella of stunning beauty and simplicity. In Ethan Frome Edith Wharton moves from the Gilded Age high society settings of The Age of Innocence and The House of Mirth to a rural village in New England. In her 1934 autobiography she explains..
"I had wanted to draw life as it really was in the derelict mountain villages.........a life utterly unlike that seen through the rose-coloured spectacles of my predecessors Mary Wilkins and Sarah Orne Jewett." It is not a pretty picture. From wonderful wintry images of ice , snow and bitter cold the village of Starkfield emerges as bleak and dreary a place as its name suggests with a community physically, mentally and emotionally weighed down by the environment. "Most of the smart ones get away". 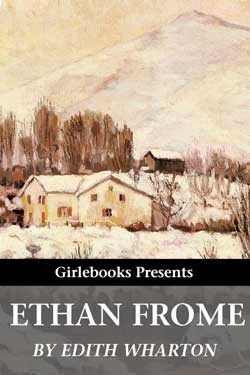 Ethan Frome did get away - to college to study engineering for a short time before being called home to help his mother when his father died. After his mother's death he marries her caregiver, Zeena who soon retreats into a state of chronic illness. Several years later Zeena's cousin Mattie, a young girl left penniless when her father dies, comes to live with them as a housekeeper and nurse. Inevitably, Ethan and Mattie fall in love with tragic consequences. It is emotional reading - sad and with an added sense of hopelessness that comes from knowing at the beginning that something terrible has happened. The narrator is a stranger staying in Starkfield who becomes curious about 'this ruin of a man' and what happened to him twenty-four years ago. It gives him a strong bias in Ethan's favour and it was only after finishing and not being able to stop thinking about it , that I went back and read it again. ( Easy to do with a novella). Ethan Frome is a good man with a strong sense of obligation to take care of others but he's also a dreamer who imagines what might be, yet does nothing to actively make it happen. His indecisiveness and doing what other people want seems like taking the easy way out and is as much to blame for what happens as any 'cruel destiny'. I did feel tremendous sympathy for Zeena and Mattie. What a terrible life for a woman particularly if there is no loving relationship to draw comfort from. It was from this desperation they both had the courage to make decisions even if they weren't always the right ones. This book didn't move me the first time round but you have me thinking that it could now that I am older - and hopefully wiser. Time for a re-read, I think. I was surprised to see that it is high school set reading. I doubt I would have liked it at all when I was young but now ....wiser, yes and prepared to read slowly and between the lines which I think is something novellas require. I hope you'll like it more second time round. I've heard such wonderful reports of this novella. I can't wait to read it, I hope this year, because after The House of Mirth, I simply must read another Wharton! it's a very quick read so I hope you will. I felt towards Ethan the same frustration I felt at times for Lily Bart - wanting to shake them ! Have you read Wharton's Summer? She referred to is as "hot Ethan" and it's wonderful! I forgot toady was the spin day. I finished They Were Sisters by Dorothy Whipple on New Year's Day, but haven't written about it yet. No - to be honest I have never heard of it. Love the sound of a 'hot Ethan' though and will be sure to read it. I'm pleased I actually got something written this time even if it was at the last minute. Don't think it really matters when you do it. Edith Wharton has become one of my favorite writers, so I am glad you enjoyed reading Ethan Frome. I would also list her among my favourites. I especially loved it because the setting was so different from the others I have read. I haven't really connected with Edith Wharton's books yet, but I mean to keep trying. I do love Sara Orne Jewett's stories, though I haven't read them in a while - and now I'm trying to decide if they're as rosy-colored as Edith Wharton thinks they are. I love SOJ's stories but I can see they might be a bit rose-tinted. The more I read of EW the more I like her style. Wharton does quiet desperation so well. Yes, she does. I know I will read this again - it is the women that interest me the most. It's always an unexpected pleasure when a book is shorter than you were anticipating! 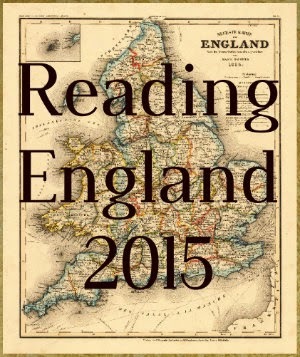 I read it on the kindle so not sure of page length but definitely less than 200p. Hope you will read and enjoy! Lots of good symbolism in this, too. If you enjoy a snarky interpretation, look for some of the youtube "retellings" of Ethan Frome. I found too many to laugh at/with. Yes, indeed there is. The retellings sound fun - I'll take a look.